Do you know what the most common fear in adults is? I was surprised to learn it’s not a fear of the dentist — it’s actually a fear of spiders. I’m not sure how they got these results, though… with years and years of experience working on people’s mouths, we’d argue pretty confidently that the fear almost all adults share is a fear of having their teeth worked on. What’s our proof? It’s simple — the fact that far too often, adults put off seeking dental care simply because they’re too nervous about what they may need to have done. But the good news is that we’ve come a long way in increasing comfort in dentistry over the past several years, and now, the chances that you’ll experience significant pain at the dentist are highly unlikely. 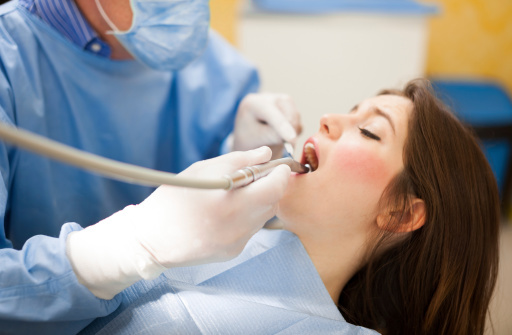 If mild to severe anxiety is keeping you from visiting the dentist for necessary oral care, it’s time to find out more about your options in nitrous oxide sedation dentistry. At our offices, we offer free nitrous oxide sedation dentistry to anyone who thinks they could stand to be a little more relaxed throughout their dental procedure. Nitrous oxide, known also by its pet name, laughing gas, is a form of conscious sedation administered safely through a nasal mask before and during your procedure. You will be awake during your procedure — we’re not talking general anesthesia here — but this excellent option not only prevents you from feeling any pain, it also calms your nerves while your dentist is working on you. That way, your anxiety won’t be triggered by the sight of a sharp object or the sound of a drill. With nitrous oxide, the benefits are many. One of the biggest is that there are no side effects — meaning that once your procedure is over, we’ll remove the mask and the sedative effects vanish. There’s no groggy after period spent recovering, and no need to ask a family member to drive you home. Nitrous oxide provides you with the pain relief you need during — and only during — your procedure. Another big benefit of nitrous oxide sedation is that it relieves your whole body from potential stress and anxiety — and that means a faster recovery time overall. When you’re stressed, it’s harder for your body to heal itself. With nitrous oxide, the most you’ll feel in terms of stress or anxiety is probably just a few normal post-appointment jitters. But once we apply the nasal mask, you’ll glide through the procedure and then walk out of our office feeling better than ever, stress-free. We’re confident that everyone could benefit from being a little more relaxed during their next dental appointment. And that’s why we’re so thrilled to offer nitrous oxide sedation dentistry for free for all of our patients — it’s just more proof that we care deeply about our patient’s health and comfort. To schedule your appointment or to find out more, contact our office today. We can’t wait to help you get the healthy smile you deserve. by: Dr. Deborah Romack at September 11, 2015 .